"I threw myself into that fire, threw myself into it, into him, and let myself burn." "I stepped out of the shelter of my savior’s arm and turned to thank him. Standing before me was the most beautiful man I’d ever seen." 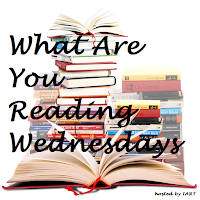 *What Are You Reading Wednesdays (#WAYRW) is a book meme created by Andie at It's A Reading Thing. 1. 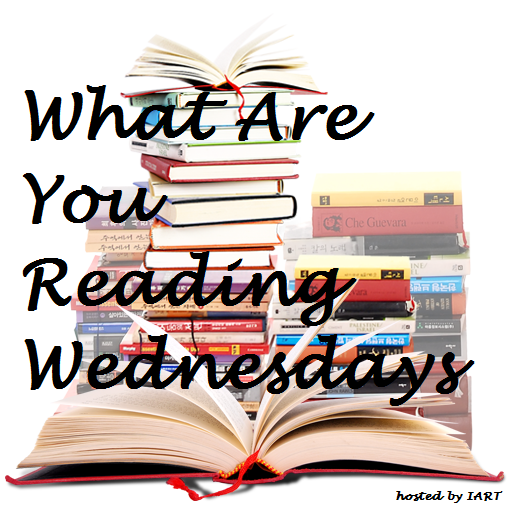 What’s the name of your current read? 2. Go to page 34 in your book or 34% in your eBook and share a couple of sentences. 3. Would you like to live in the world that exists within your book? Why or why not? 2. Those ridiculous wards on our threshold were as good as cobwebs against him. I should have asked the mercenary how she'd killed that faerie. But the beast's thick neck—that looked like a good home for my knife. 3. I'm still in the beginning of the book, so I don't have a strong opinion yet, but I get the impression that it's maybe an awful place to live or a super-cool one. Not sure. "We need hope, or else we cannot endure." She stole a life. Now she must pay with her heart. When nineteen-year-old huntress Feyre kills a wolf in the woods, a beast-like creature arrives to demand retribution. Dragged to a treacherous magical land she knows about only from legends, Feyre discovers that her captor is not an animal, but Tamlin—one of the lethal, immortal faeries who once ruled their world. 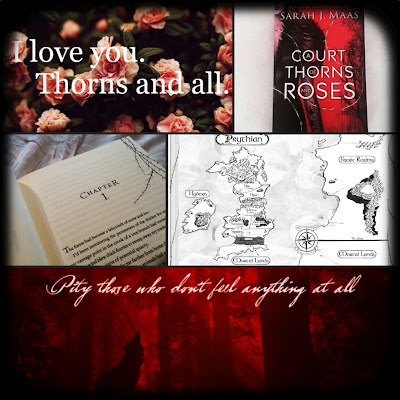 As she dwells on his estate, her feelings for Tamlin transform from icy hostility into a fiery passion that burns through every lie and warning she's been told about the beautiful, dangerous world of the Fae. But an ancient, wicked shadow over the faerie lands is growing, and Feyre must find a way to stop it . . . or doom Tamlin—and his world—forever.